Here are a few of the classes we have coming. You may call to sign up or come into the store and see a sample of what we'll be teaching. Saturday, Feb. 16, 9:00 a.m. Fabric Rugs - This is a "new to us" technique, you will learn to make a dimensional round rug in the colors of your choice. Quite amazing. Check out the sample in the photo below! Tuesday, Feb 19, 6:00 p.m. Chenille - Learn this simple, but unique way to make your own chenille fabric. We use it on wall hangings, textured quilts, and more. Monday, Feb. 25, 10:00 a.m. Machine Applique - Learn several ways to applique using your sewing machine, including fusible web, invisible applique, vines and circles. This is a technique class that will enchance the skills of any quilter. We are having this one during the day and another one Tuesday, Feb. 26, at 6:00 p.m. You will learn the applique method we use for the Saturday Sampler blocks. Tuesday, Feb. 26, 6:00 p.m. Machine Applique - Learn several ways to applique using your sewing machine, including fusible web, invisible applique, vines and circles. 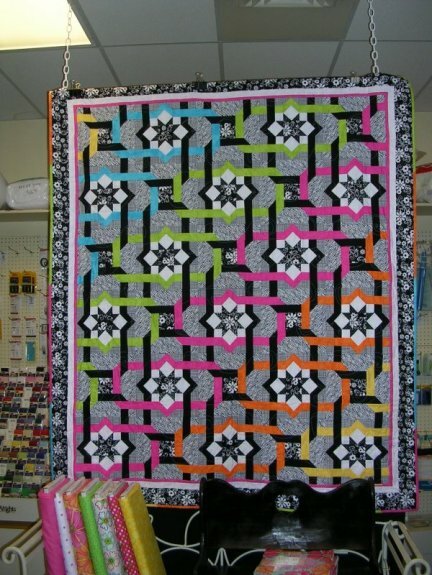 This is a technique class that will enchance the skills of any quilter. You will learn the applique method we use for the Saturday Sampler Blocks. Unless otherwise noted, classes are $10.00 each. 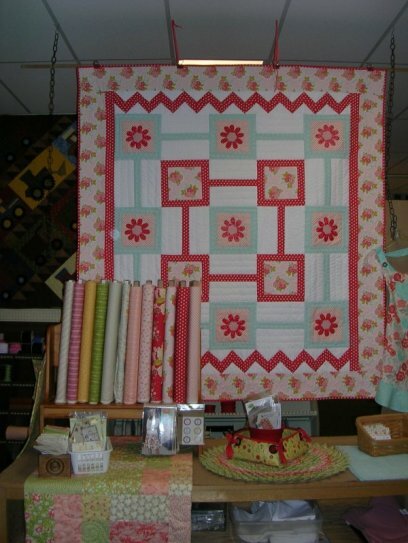 For class you will need a machine in good working order and basic quilting supplies. Other supplies may be required, list available upon sign-up. And. 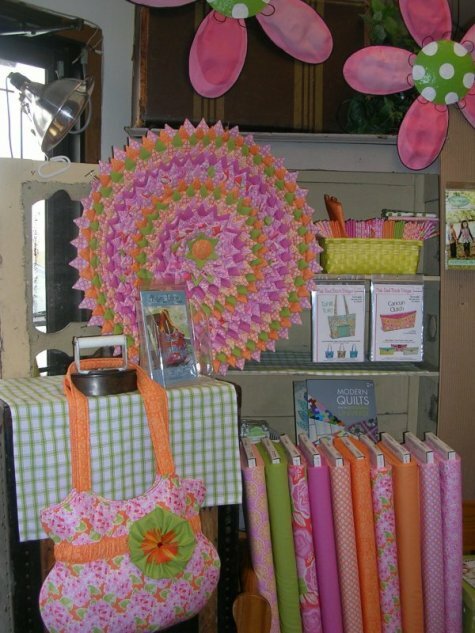 . . by the way . . . . here are a few newbies, quilts and fabric! We have some great new spring fabrics, including Noteworthy by Moda, Hello Sunshine and Marguerite by Riley Blake and gorgeous new plush fabrics from Shannon, just to name a few. Hope to see you soon!